I'm pretty sure June is my favorite month in LA. Almost every morning is cool with a heavy blanket of clouds. They call it June Gloom, but to me, it's hardly gloomy. 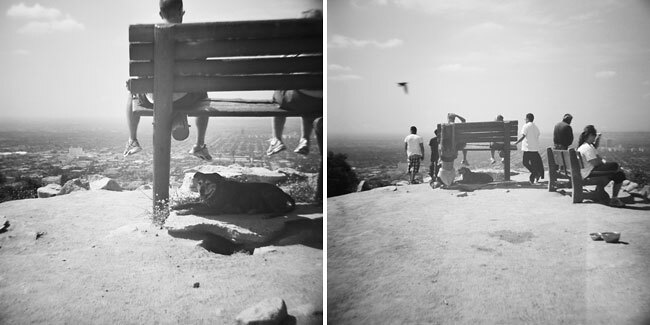 I love letting the breeze gently wake me in the morning and the quiet hikes at Runyon. I am in love with these photographs... so tranquil and dreamy. I can almost feel the cool air kissing my skin. These will forever remind me of what it feels like to stand atop Runyon Canyon in June. I have many more to share and will continue posting next week. 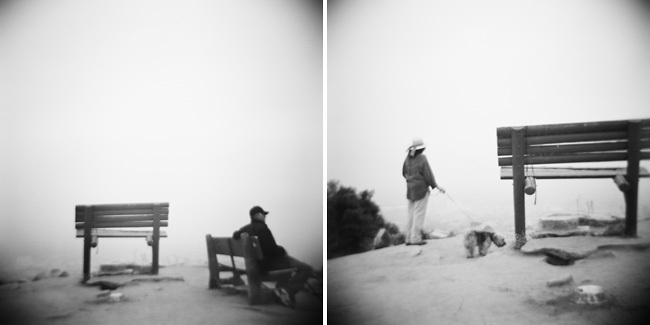 It is also worth noting that my film scans have improved immensley since I switched labs. Thanks to Richard Photo Lab - my bench series just got better!